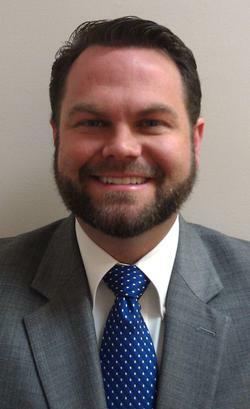 Nathan Manning joined the Brown Funeral Home staff in 2007, working as a licensed Preneed Insurance Agent. He’s been a licensed Funeral Director since 2010; and Funeral Home Manager since 2015. Although he grew up in Sevier County; Nathan attended Newport Grammar School and graduated from Cocke County High School. He holds a Bachelor's Degree in Mass Communications from Carson-Newman College in Jefferson City. Nathan believes in clear and honest communication. Before following the call to join the funeral profession full-time, he spent two decades working in the broadcast media. He has worked with WBIR-TV in Knoxville, WNPC Radio in Newport, and Niswonger Performing Arts Center in Greeneville. As a teenager, his first job was that of a tour guide at Forbidden Caverns in Sevierville. An East Tennessee native, Nathan has a deep appreciation for the rich history and unique culture of this area. He truly enjoys being involved in our community and helping others. As a member of Newport's Hard Times Street Rod Club, Nathan founded the annual "Cruise Against Cancer" to benefit Celebrate Life Cancer Support Group. He also serves on the Board of Directors for Celebrate Life, and is a former board member of Safe Harbor Child Advocacy Center. Nathan’s hobbies include classic cars, collecting antiques, writing, and traveling. He and his wife, Jessica, live in Jefferson County. Charlie Manes was born in Hawkins County, and graduated Bulls Gap High School in the late 1950s. A licensed funeral director and embalmer, Charlie earned his degree in Mortuary Science from Nashville's famed John A. Gupton College. Charlie's experience in the funeral profession has spanned more than 60 years. Ironically, Charlie's first job as a funeral director was with Brown Funeral Home, where he started working in 1961. Since then, Charlie has been involved with every aspect of the funeral profession, from setting tents to owning and operating his own firm. He has served as Past President of the Tennessee Funeral Director's Association and the Greater Knoxville Funeral Service Association, as well as serving as a member of the State Funeral Directors & Embalmers Regulatory Board. Although he considers himself "mostly-retired" these days, Charlie has remained close with Brown Funeral Home, where he continues to work part-time as needed. Charlie has two sons; Jeff and Eric Manes. He is a longtime member of the Hard Times Street Rod Club, and in his spare time, he enjoys anything to do with old cars. Charlie and his wife, Marilyn, live in the Edwina community. Johnny Bugg has worked with Brown Funeral Home for decades. Assisting with funerals since 1983, John has established himself as a tremendous asset to our operation. In addition to helping care for the families we serve, John takes exceptional care of our building, and helps make sure our vehicles are clean and well-maintained. Outside the funeral profession, John stays involved in our community. For many seasons, he was Track Chaplain for Newport Speedway. He’s also active in church, and once served as an alderman for the City of Newport. He and his wife, Cathy, have been married since 1972. They have one daughter, Penny; and a grandson, Ryan. In his spare time, John enjoys all types of auto racing and spending time with his family. Cindy Crumbley joined the Brown Funeral Home staff in 2014. Cindy’s focus is on the business portion of funeral service, handling the majority of paperwork, bookkeeping, and accounts receivable. She keeps accurate records, providing families with timely assistance regarding death certificates, insurance claims, and other aspects of the job. In addition to her clerical duties, she has a creative ability that shines brightest when working to help create video tributes, deeply personalized memorial folders, or other custom touches to add meaning to each service. Through careful attention to detail, Cindy is able to focus on the key aspects of a person’s life, honoring their legacy with compassion and sentimentality. Cindy is deeply devoted to her family. She and her husband, Allen, have one daughter named Bailee.